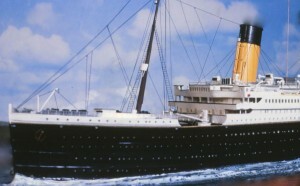 FOR THOSE, like me, fascinated by the tragic Titanic story , and captivated by a lost golden age of ocean liners,this year’s centenary will bring a great deal of renewed public interest in the wake of many planned events , new publications,and resulting media coverage. 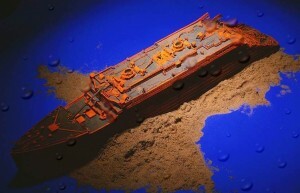 The recent sale of recovered items from the wreck, something I personally abhor; the major new Belfast attraction;a new TV drama from the creators of Downton Abbey, and James Cameron’s reboot of his excellent 1998 movie, remastered and recalibrated in 3D, are just the tip of the iceberg…For modellers there will doubtless be plenty of special editions, and at least two brand new kits are expected:hard to believe that the first model kit appeared way back in 1976. 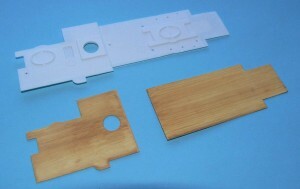 Entex‘s pioneering 1:350 scale model has appeared in many guises ever since ,and is still available under the Minicraft label. 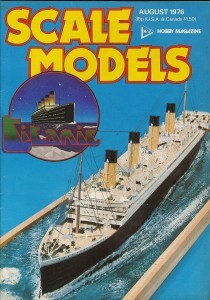 THE Winter 1986 edition of Sea Classic International ran a number of exclusive stories on the Titanic,including an early account of the first Ballard expeditions to the wreck site. 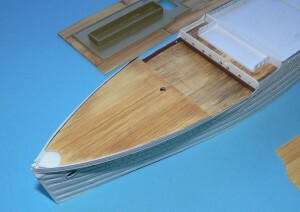 From the many seabed photos-and we were one of the first UK magazines to feature these-I made a model of the bow section to illustrate the articles. 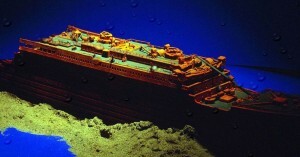 It was the front end of the Entex kit suitably cut about and distressed in accordance with the wreck images. 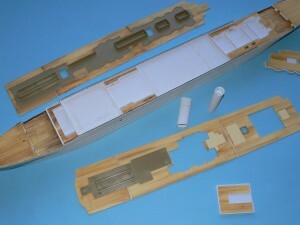 The collapsed rear end was detailed with heaps of microstrip,rod,etc., the whole lot painted in shades of rust. 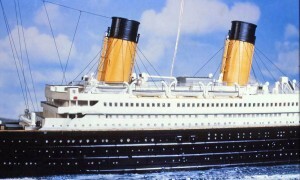 Similar models have been created since, notably by Fox special effects crews for James Cameron’s movie, but we led the way! 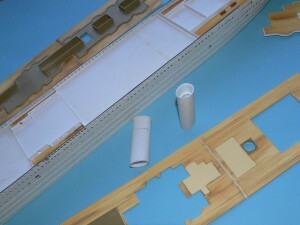 IN 1998,following the release of the movie, I returned to the Entex Titanic, armed with stacks of new reference material and detailed Robert Hahn plans, to produce a ‘definitive’ version. 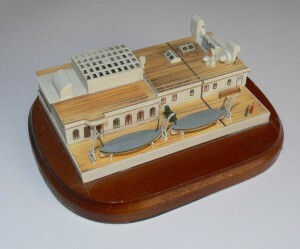 [The original ,first model having been sold to a collector].I had great intentions of a full Southampton dock diorama and ,thanks to a lot of research, and visits to Southampton, obtained original plans of the terminal buildings, passenger boarding gantries, the Red Funnel tugs, and a plan of the dock itself supported by measuring the actual quayside. The crane tracks are still there, as are the bollards seen in the 1912 photos. I was unable to find drawings for the cranes, and this forced me to lower my sights.